Welcome to Module 5 of Get Clear, Get Clients: Your Buyable Offering! WOOHOO! It’s time to create an offering that feels valuable and your people want to pay for. PART 1: HOW DO COACHES SABOTAGE THEIR OFFERINGS? In this video, we’ll be looking at the one thing that I see coaches do to sabotage themselves when they offer their work ALL. THE. TIME. This is the thing that stops most coaches from charging their full value. PART 2: WHAT ARE YOU GOING TO SELL? 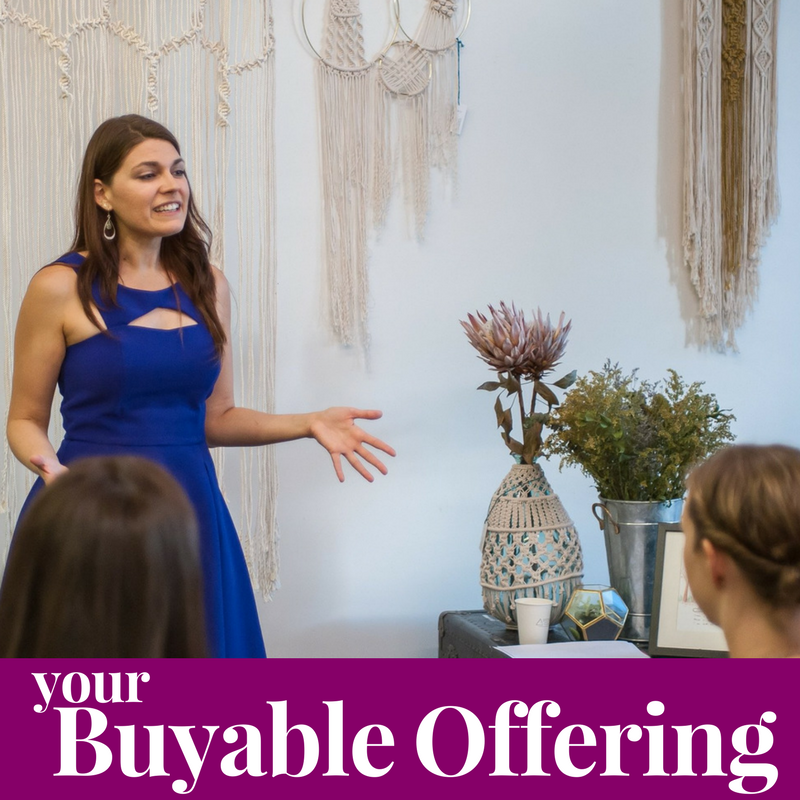 Click here to download the worksheet “Your Buyable Offering” (fill it out as you do the workshop).